Katherine Hancock, 53, passed away Sept. 19. She was born Nov. 1, 1962, in St. George, Utah, to Lione “Buck” and Judy (Thurston) Mason. Kathy grew up in St. George, Utah, as an only child. She enjoyed being around her family, and she loved watching movies, especially horror films. She loved Halloween and anything creepy. She loved meeting people and becoming friends while entertaining them with kooky stories. She loved to spoil her grandsons, and she also loved being spoiled and being the center of attention with her kids. She was fascinated with the Egyptian culture and was always excited when new movies involving Egyptian God’s came out. Kathy was an avid artist and enjoyed bragging about how well she did, especially when it came to her creepy drawings. She loved to cook and try new recipes. She quickly became “Mom” to all of JJ’s friends, and she adored each and every one of them. She treated them as her own children and basked in the attention they gave her, especially Britton Pucci, whom she called her second son. Kathy will be deeply missed. Kathy is survived by her son, Jerimy “JJ” (TresaLynn) Hancock; her grandsons, David Jerimy “DJ” Nanney and Jaykobi Hancock; and one great-granddaughter, Misty Nanney. 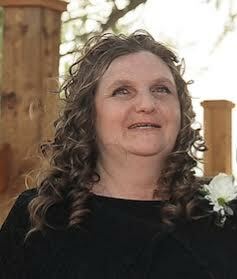 Kathy is preceded in death by her parents and also her daughter, Misty Lee Nanney. A celebration of life will take place Saturday, Oct. 1, at 5 p.m. at Temple Quarry Trail located at 300 S. Donlee Drive in St. George, Utah. In lieu of flowers, a donation account has been set up at America First Credit Union: Acct # 9089103, as well as a GoFundMe account “Memorial Fund for Kathy Hancock” to help cover memorial costs. Arrangements have been entrusted to the care of Spilsbury Mortuary, 435-635-2212. For condolences, full obituary and funeral listings, please visit Spilsbury Mortuary online.